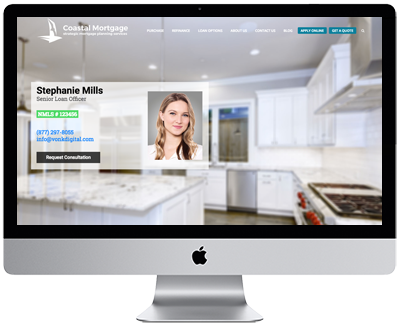 Any of our mortgage website designs can be converted into a loan officer website. Therefore, the only difference between our company and loan officer package is a price break. We charge $10 less per month for the same product. 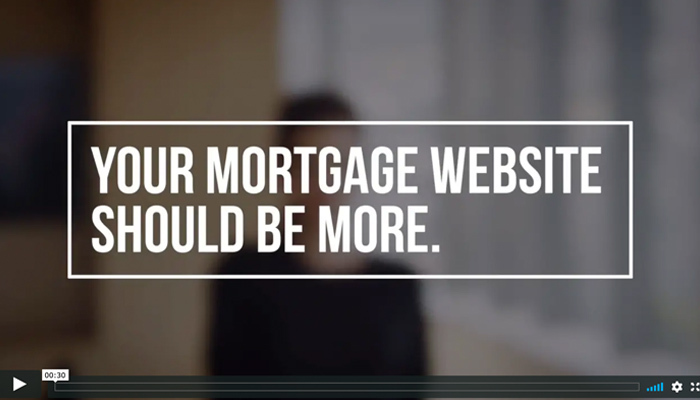 When designing a website for a loan officer, we like to make it very clear that it is about you and your service. Most importantly we keep the design clean and professional. Clients can choose to display their contact information on the homepage banner or anywhere else on the website. We also highly recommend adding a welcome video to the homepage. We provide video editing services if needed. 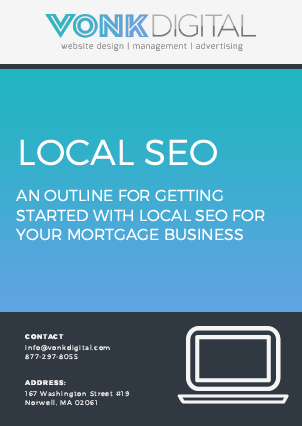 Having your own website is crucial if you spend any money on marketing. Your marketing efforts should be driven to your controlled online environment. Building the “brand of you” requires time, effort and money. Lenders come and go, having a business asset like your own mortgage website should stay with you and be controlled by you. Any time your name comes up to someone either through a friend referral, realtor referral, or an online advertisement this will trigger a reaction. The reaction is that person is going to look you up. Your name will be entered into to google as a way to verify who you are. This is a good exercise to try on your own and see what you get. Using the platforms we mention below you can greatly impact what they will see. Loan Officers should focus on having these platforms in place to build their online brand. Website that servers as the hub of their online image and marketing. Social media presence on Facebook, Instagram, LinkedIn and Twitter. Youtube channel for explaining loan programs, market updates, and general area local knowledge. Personal Google My Business page for reviews.